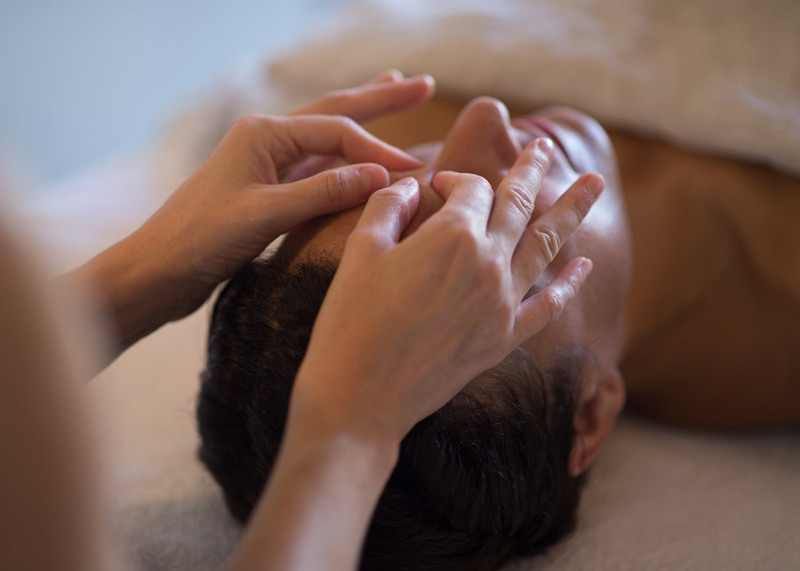 The essence of LE PURE’s therapeutic beauty treatment is the fusion of luxury organic skincare with a unique facial massage. Highly effective manual techniques combined with specifically designed tools create a highly effective and longlasting lifting. 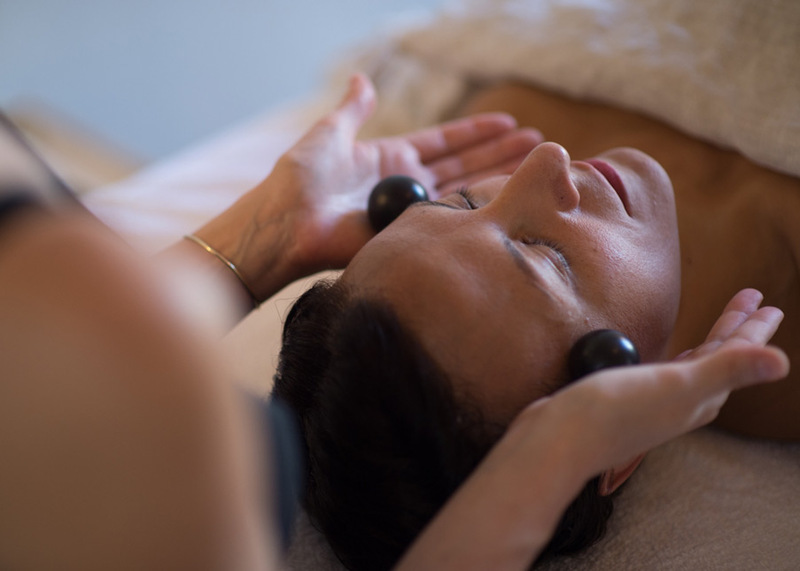 The treatment was developed by facial therapist Mariona Vilanova to provide the most efficient manual techniques in a ritual for the face, neck and décolleté. 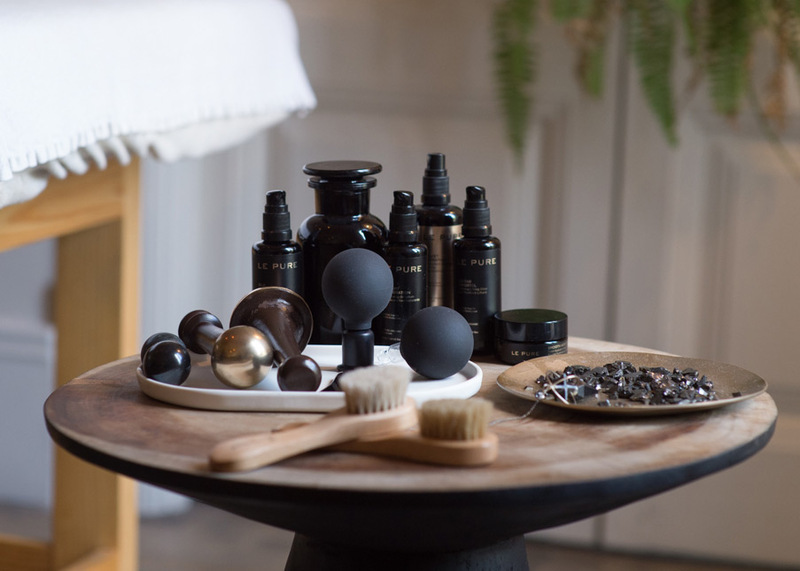 A combination of centuries-old techniques and tools that provide a deep stimulation, which is further potentiated by the botanical masterpieces of LE PURE. The effects are immediately visible after the first treatment, and increase even more with regular sessions. The highly concentrated active ingredients of LE PURE and the perfect balance of formulas boost the effects of the treatment and activate the cell regeneration from within. The treatment detoxifies, regenerates, activates the blood circulation and stimulates the formation of collagen and elastin in the deeper layers of the skin. This therapeutic beauty treatment is a sensorial experience that rejuvenates and deeply relaxes the skin. The visible effect is a natural lifting that gives the skin a natural glow and a firm texture. The treatment reduces pigmentation, wrinkles, dark circles, bags and flaccid skin in the face and on the neck. The ritual provides a deep relaxation and creates physical as well as emotional well-being, which is reflected in a calm and radiant face. The deep stimulation of facial tissue is activated with the “Cupping” technique. For this ritual, Mariona Vilanova has developed special ceramic cupping instruments. The shape and the material of this lifting cup have been designed to achieve the optimal results while being pleasant and non-invasive. 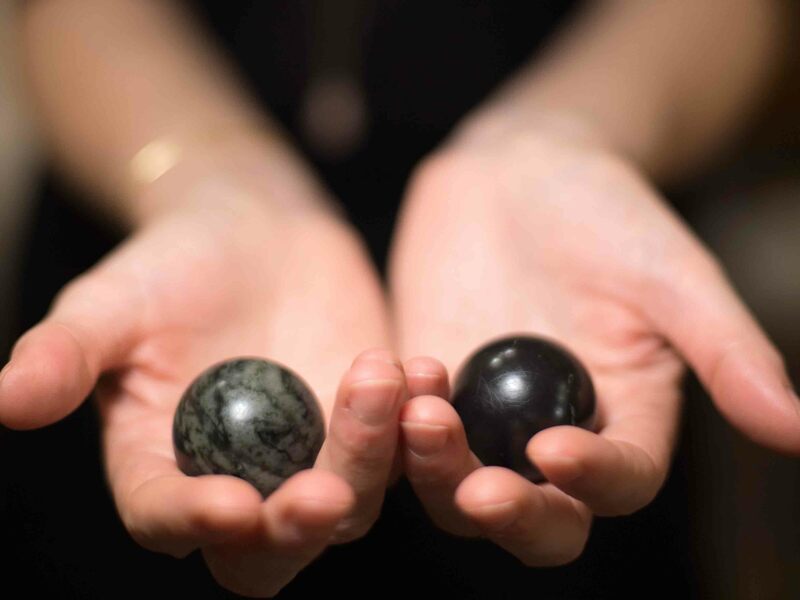 A massage with spheres made of Shungite stone is performed, transmitting an exceptionally calming and balancing energy to the skin. The centuries-old Kansawand is used to activate profound cell renewal. 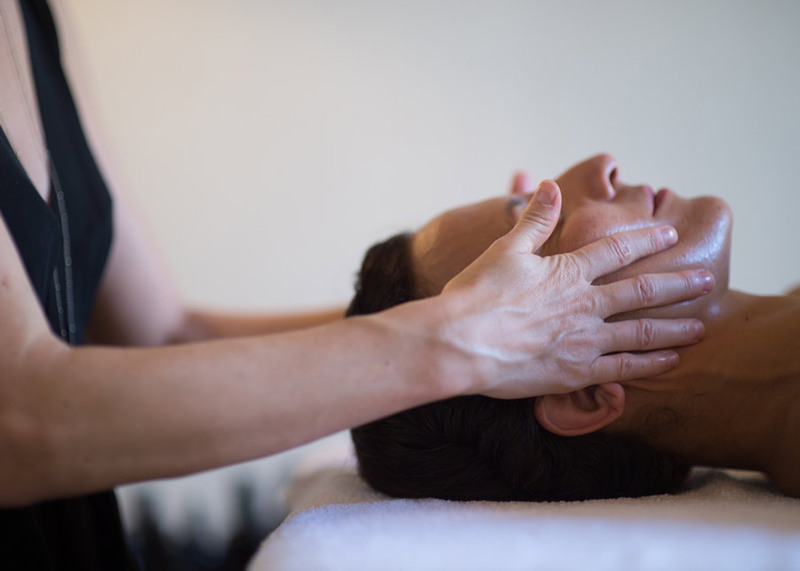 The manual hand techniques are a selection of the most effective techniques of the Ko-bido massage, the facial reflexology Dien Chan, the Shiatsu technique and the Craniosacral Therapy. The LE PURE products optimize the effects of the massage techniques thanks to their composition of 100% active plant nutrients. All ingredients are processed with physical transformation methods to preserve the maximum of botanical nutrients. The skin can instantly recognize all ingredients and transports them into its deepest layers. The highly concentrated plant substances act in synergy with the massage techniques and induce a profound cell regeneration from within the skin. An exclusive development by facialist Mariona Vilanova. 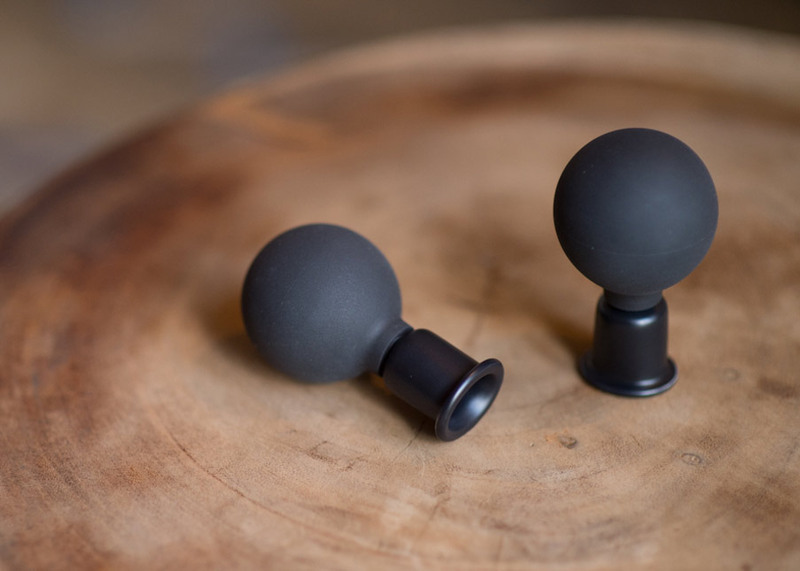 This unique cupping instrument combines the ideal shape and the most effective material to potentiate the results of this lifting technique. The application detoxifies, provides radiance and strengthens the skin tissue. The cup can be used during the treatment, but also as an additional self-treatment at home. An extraordinary technique with instant results that rejuvenate the skin also in the long term. 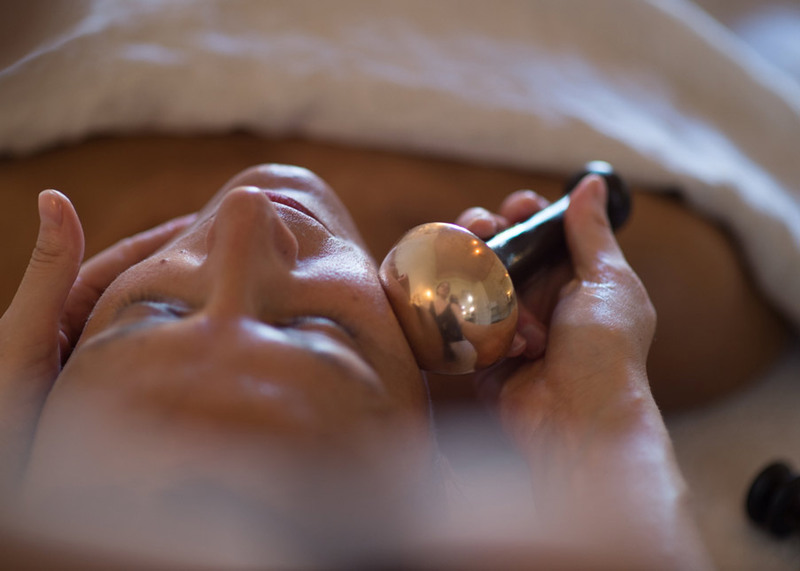 This wand from ayurvedic medicine brings deep relaxation and also tightens facial muscles. This effect is due to the special metal alloy of the wand, which generates highly beneficial electromagnetic energy, stimulating cell regeneration in the deeper skin layers and the production of collagen and elastin. The Shungite stone is used to massage the face and neck area in order to stimulate tissues and muscles. The balancing and soothing effect of Shungit is transmitted to the face, neck and décolleté. Ko-bido is an ancient, magical massage technique that rejuvenates, balances and relaxes. The tissue is mobilized by special hand movements, which naturally tightens the face. 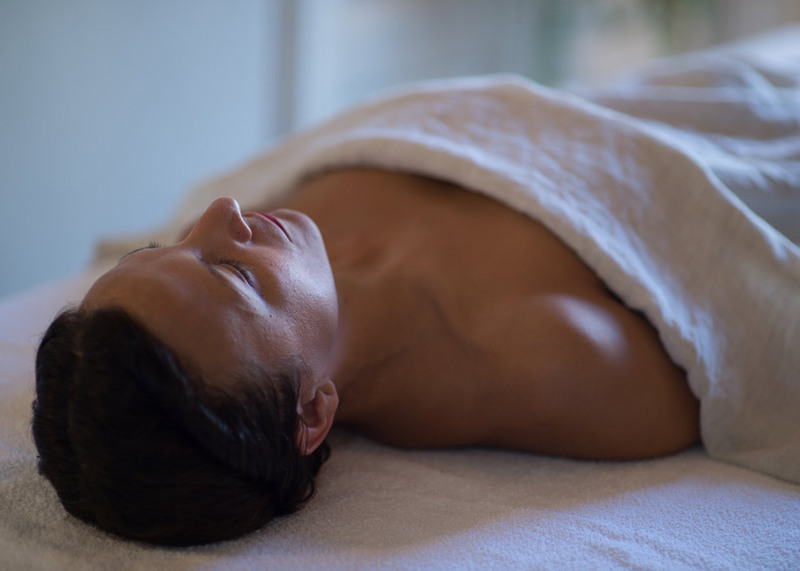 A treatment that works from outside and inside, while balancing mind and body. A gentle facial shiatsu relaxes the body and allows the mind to calm down. This ideal state of relaxation allows the skin to absorb all nutrients of the LE PURE products and to stimulate cell regeneration from inside. The therapeutic reflexology therapy from Vietnam is mainly used on the face and on the head, but it provides extraordinary results throughout the body. Stimulating special points and areas, facial reflexology can realize a lymph drainage in a very short time. It can be applied to treat specific problems and skin concerns. This manual technique influences the nervous system and provides a deep relaxation.